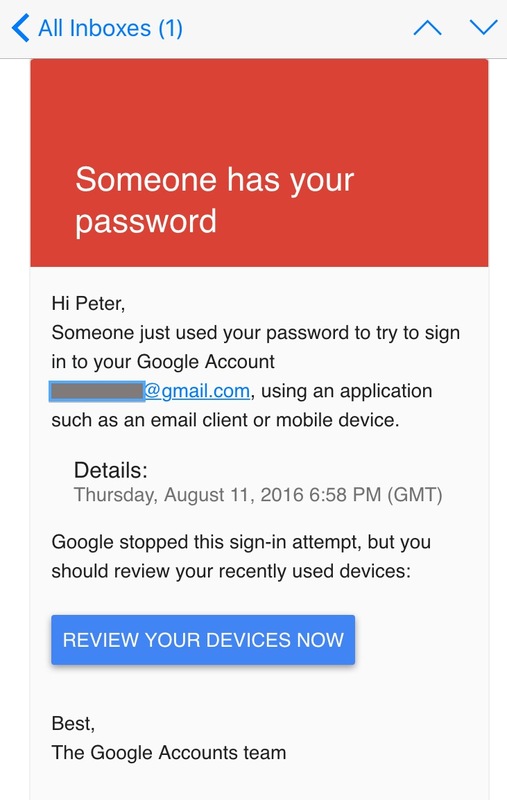 It looks like a phishing attempt to me.. I thought of that possibility, so I went directly to Gmail (i.e. not through the email link) and verified it was legitimate. and Gmail is the most secure email server!!! nothing on the internet is secure. nothing.